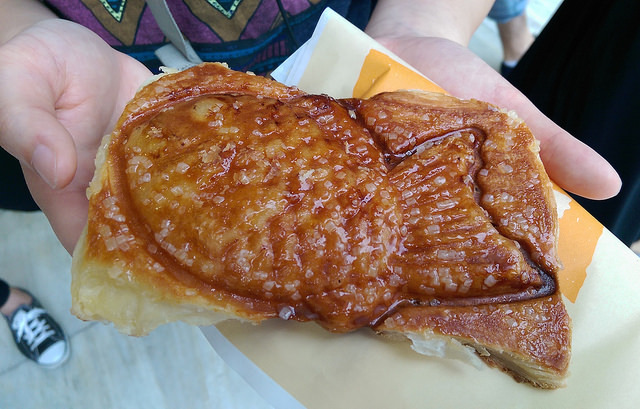 Taiyaki is a sea bream shaped waffle/cake with red bean paste, custard, or some other kind of sweetened filling. 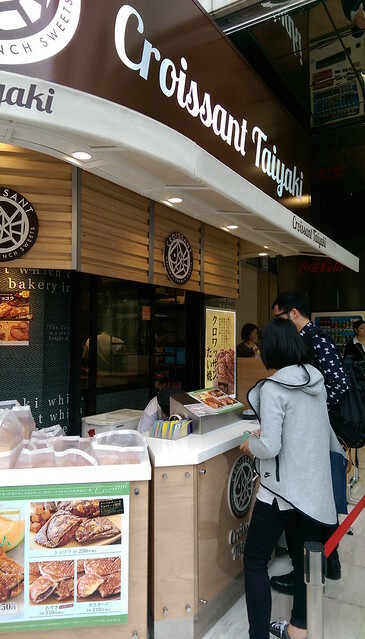 There’s a variation of taiyaki that’s currently popular in Japan, among locals and tourists. 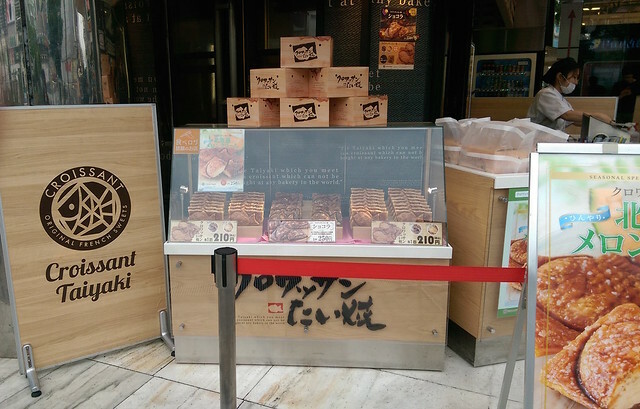 Ginnoan (銀のあん) is a bakery chain with multiple locations across Japan that’s known for their French take on taiyaki, called croissant taiyaki (クロワッサンたい焼き). The type of crust and its filling may vary by location and time of the year. We went to the Shinjuku location, which had four kinds of crossaint taiyaki – regular crust with red bean or custard filling (¥210), regular crust with melon filling (¥250), and couverture chocolate crust topped with roasted almonds and chocolate filling (¥250). All of us had the regular crust with custard filling. The outside was crispy and was topped with tons of sugar flakes. It also and had the perfect amount of sweetness and creaminess! 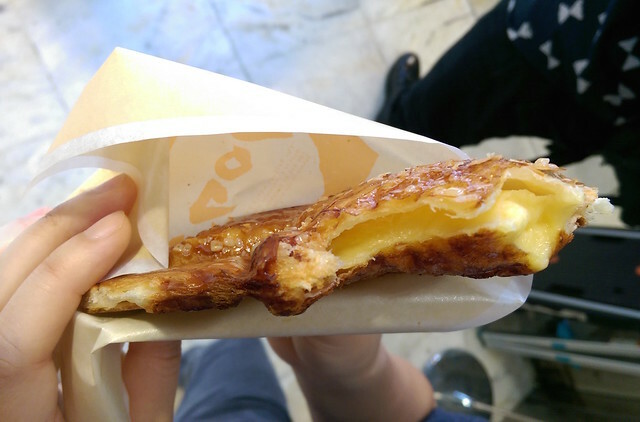 If you’re in Japan, don’t miss out on these crunchy and delicious croissant taiyaki! !